Jay Lee, Ohio Eminent Scholar and L.W. Scott Alter Chair Professor, University of Cincinnati, USA; Director, NSF Multi-Campus Industry/University Cooperative Research Center on Intelligent Maintenance Systems (IMS), University of Cincinnati, University of Michigan, Missouri University of S&T; and Changjiang Chair Professor and Dean, Advanced Industrial Technology Research Institute (AITRI), Shanghai Jiao Tong University. As of 2007, Thailand has become the leading producer of HDDs in the world. It has been attractive for foreign direct investment due to its incentives, tax policy, labor availability and cost, and its industrial policy. In addition to remaining competitive with its neighbors in these areas, Thailand must develop a larger technical talent base to support the growth in HDD storage capacity and volume. Thailand has recognized the need for skilled labor to support the industry and has established programs to address several areas of HDD manufacturing in conjunction with industry. As HDD technology progresses, and HDD companies look to reduce development costs by transitioning more development to their manufacturing sites, new programs need to be put in place for Thailand to support these emerging trends. These programs should be focused on the unique requirements of component development in the areas of process technology vs. current emphasis on assembly technology. A proposal for academic curriculum and policy will be presented. Dave Rauch is currently the Sr. Vice President of Magnetic Head Operations for Western Digital Corporation (WDC). In this role, he oversees the worldwide manufacturing of heads, head product development, and R&D. He has almost 30 years of experience in product development and manufacturing operations, and he has contributed in growing companies from the start-up phase to more than $1B in annual revenue, bringing products to market in diverse industries such as magnetic recording heads and optical telecommunication components and subsystems. Prior to joining WDC, Mr. Rauch was Sr. Vice President of Operations at UltraDots, Inc., a nanotechnology start-up company, and previously he was Vice President of Engineering at Lightwave Microsystems (now Neophotonics), a producer of optical components. Mr. Rauch held a number of positions in engineering and operations at Read-Rite Corporation from 1983 to 1999. He holds a BS degree from the University of Minnesota, USA. Innovation is not an option for today’s industry. For the past decade, globalization and transformation of the flat-world economy have produced vast new challenges for industry. Innovation is not just about new product development; it also refers to the creation of new value-added services to transform better productivity and business performance. As the practice of product design has expanded, both in economic and social impact and in technological complexity, so have the demands upon innovative service systems. This presentation introduces a dominant innovation system and tools for products and services in a changing competitive global market. Examples will be given to illustrate how to formulate “gaps” between a product and customer’s invisible needs using an innovation matrix and application space mapping tools. In addition, examples will be used to illustrate how world-class companies and small- to medium-size companies can transform themselves to become innovative leaders. Jay Lee is Ohio Eminent Scholar and L.W. Scott Alter Chair Professor at the Univ. of Cincinnati and is founding director of the National Science Foundation (NSF) Industry/University Cooperative Research Center (I/UCRC) on Intelligent Maintenance Systems (IMS www.imscenter.net ), which is a multi-campus NSF Center of Excellence between the University of Cincinnati (lead institution), the University of Michigan, and Missouri University of S&T in partnerships with over 40 global companies including P&G, Toyota, GE Aviation, Boeing, AMD, Caterpillar, Siemens, DaimlerChrysler, ETAS, Festo, Harley-Davidson, Honeywell, ITRI (Taiwan), Omron (Japan), Bosch, Parker Hannifin, BorgWarner, Spirit AeroSystems, Nissan (Japan), Syncrude (Canada), CISCO, Alstom (France), Delta Electronics (Taiwan), and the Army Research Lab. He is Changjiang Chair Professor as well as Dean of the newly established Advanced Industrial Technology Research Institute (AITRI) at Shanghai Jiao Tong University. 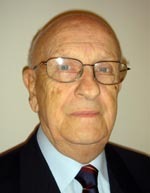 In addition, he is an honorary professor of City University of Hong Kong and serves as a visiting professor for a number of institutions including Cranfield University in the UK, Lulea University of Technology in Sweden, University of Manchester, Hong Kong Polytechnic University, Xian Jiao Tong University, and Harbin Institute of Technology (HIT) in China. His current research focuses on dominant innovation design tools and smart infotronics technologies for service and maintenance automation applications. Previously, he was Director for Product Development and Manufacturing at United Technologies Research Center (UTRC), East Hartford, Connecticut, and served as program directors for a number of programs at NSF during 1991-1998, including the Engineering Research Centers (ERCs) Program, the Industry/University Cooperative Research Centers (I/UCRCs) Program, and the Division of Design, Manufacture, and Industrial Innovation. In addition, he served on the board of Manufacturing and Engineering Design (BMAED) of the National Research Council during 2000-2005, Board of Directors for the National Center for Manufacturing Science (NCMS) during 1999-2001, as well as advisory member for a number of academic institutions including Johns Hopkins University and Cambridge University. He conducted research work at the Mechanical Engineering Lab of the Ministry of International Trades and Industry (MITI) as a Japan Science and Technology Agency (STA) Fellow in 1995, a Japan Society for Promotion of Science (JSPS) Fellow at the University of Tokyo in 1997, and a visiting professor at the Swiss Institute of Technology (EFFL) in Lausanne, Switzerland, in July 2004. He also served as an adjunct professor for a number of academic institutions including Johns Hopkins University. Currently, he serves as advisor to a number of global organizations, including IBM MAXIMO Executive Advisory Council, Industrial Technology Research Institute (ITRI) in Taiwan, Japan Productivity Center (JPC), and the Academy of Machinery Science and Technology in China. 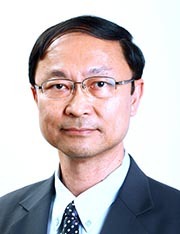 In addition, he serves as editor and associate editor for a number of journals including IEEE Transaction on Industrial Informatics, International Journal on Prognostics and Health Management (IJPHM), International Journal of Asset Engineering and Management, International Journal on Service Operations and Informatics, and Tsinghua Science and Technology Journal. 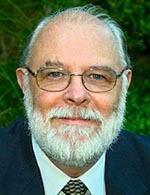 He has authored/co-authored over 150 technical publications, edited two books, contributed numerous book chapters, owns a number of patents, two trademarks, and he has delivered numerous invited lectures and speeches, including over 130 invited keynote and plenary speeches at major international conferences. Dr. Lee received 2008 CIE-USA Distinguished Achievement Award, Professor of the Year Award and Distinguished Engineering Research Award from the University of Cincinnati in 2007, Milwaukee Mayor Technology Award in 2003, Milwaukee Idea Award in 2002, and was also a recipient of the SME Outstanding Young Manufacturing Engineering Award in 1992. He is a Fellow of ASME, SME, as well as a founding fellow of the International Society of Engineering Asset Management (ISEAM). Leonardo is known as a supreme artist, the creator of the two most famous works in the history of art. What is less well known is that he was only a part-time artist. His relentless curiosity to understand the world drove him to study nature, make careful observations, seek mathematical proofs, and record all his findings. Some of his discoveries prefigured achievements we associate with Galileo, Newton and Darwin. He even prefigured entire sciences not to be formally invented for centuries. With unrivaled drafting skills, he created mechanical drawings for future technology, and anatomical studies that would never be equaled. But then, when he created his miraculous paintings, he imbued them with his scientific passions — his intuitive knowledge of optics, geology and mathematics. Leonardo was in the business of inventing the future. But since he never got around to publishing his discoveries, he would not materially influence the future. Therein lies the tragedy of Leonardo. 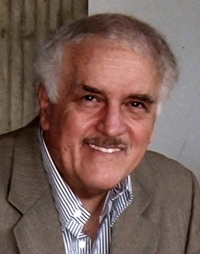 Physicist-artist-author Bulent Atalay invokes Leonardo’s model in order to attain the larger goal of achieving a synthesis of disparate fields by presenting science through art, and art through science. Looking at the ways social behavior changes in response to the change of technologies, one has to agree that in the near future, our young talent will definitely choose how they work, where to work, when to work and for whom they work, as long as they produce the expected results. This makes it difficult for organizations to manage their workforces, particularly the scarce knowledge workers including researchers and scientists. Unless organizations learn to work with external specialists, they will face the problem of not being able to hire enough qualified in-house talent. We will be forced to do collaborative research with researchers around the globe. Commercialization and utilization of intellectual properties will be even more difficult due to the lack of qualified personnel; marketing IP will require a significantly more complex set of interdisciplinary skills. We will need a more service logic approach to market IP, meaning we must treat our clients as co-creators and work with them and engage with them to reach the final solution: working with them as trustworthy partners. Dr. Manoo Ordeedolchest is Chairman of ICT Policy at Sripatum University, Thailand. He has actively served the computing industry for more than 40 years in many capacities. He was the President of the Association of Thai Computer Industry (ATCI) for 8 years; he now serves ATCI as Honorary President. In 2003 he was appointed by the Ministry of Information and Communication Technology to lead a new business promotion unit called Software Industry Promotion Agency, under the Ministry of ICT, where he served as President for three years until his retirement in 2006. Prior to the appointment at the Ministry of ICT, he was Dean of the School of Technology at Shinnawatra University, Thailand. From 2003-2004, Dr. Manoo was appointed President of the Asian-Oceania Computing Industry Organization (ASOCIO), the organization that represents computing and ICT-related associations of 19 countries in the Asian-Oceania region. 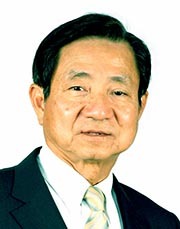 He was the co-founder of Datamat Public Company Limited, a Thai systems integrator established in 1969, where he served as President until 1994. For the past 40 years, Dr. Manoo has been regular part-time lecturer at many graduate schools in Thailand, such as Chulalongkorn University and the National Institute for Development Administration (NIDA). Dr. Manoo received his Bachelor of Science in Electronics and Master of Science in Computer Science from Oregon State University, USA. He also received an Honorary Doctorate Degree from the National Institute for Development Administration (NIDA). Dr. Manoo has served as an advisor and director in a number of prestigious organizations, including Chairman of Software Park Thailand under the Ministry of Science and Technology; committee member of the National Science and Technology Development Agency (NSTDA) under the Ministry of Science and Technology; committee member of the National Electronics and Computer Technology Center (NECTEC) under the Ministry of Science and Technology; Formal Committee of The National Education Council, Ministry of Education; Formal President of the Software Industry Promotion Agency (SIPA) under the Ministry of ICT; and Chairman of the ICT Commission: International Chamber of Commerce. Dr. Manoo received the title of Fifth Class Knight Commander of the Most Admirable Order of the Direkgunabhorn. SCG thrives to becoming an “Innovative Organization,” generating pioneering, environmentally friendly products referred to as “High Value Added Products,” incrementing value for our customers and stakeholders, maintaining regional market leadership, and sustaining a strong presence in all communities where SCG operates. To ensure value creation, SCG warrants over 1 billion Baht annually on R&D budget to support R&D activities which include conducting campaigns such as SCG’s Power of Innovation Awards to advocate creativity and innovation among staff, applying intellectual property management on novel findings and solutions, and collaborating with government entities to promote Thailand as a regional trading hub. These formations help secure SCG as one of ASEAN’s market leader. Mr. Kan Trakulhoon is President and CEO of Siam Cement Group (SCG). He began his career with SCG as an engineer in 1977 and has held various management positions in the company’s key strategic business units including petrochemicals, cement, and ceramics until becoming President and CEO in 2006. Aside from his role at Siam Cement Group, Mr. Kan is concurrently an outside Director to Kubota Corporation. He also served as members in a number of professional organizations such as Member of the World Business Council for Sustainable Development (WBCSD), Member of the Board of Trustees and Council Member of Asia Business Council, Board Member of the School of Engineering and Technology, Asian Institute of Technology (AIT), Advisory Council Member of Sasin Graduate Institute of Business Administration, Chulalongkorn University, and Member of East Asia Council, INSEAD. Mr. Kan graduated with a Bachelor’s degree in Electrical Engineering (First Class Honors) from Chulalongkorn University in 1977 and two Master’s Degrees, M.S. Engineering and M.S. Management, from the Georgia Institute of Technology in 1986. Science, technology and innovation (STI) increasingly plays a dominant role not only in the advancement of the science and the technology itself, but also in its contribution to citizen empowerment, productivity improvement, corporate innovativeness and quality of life enhancement. The design of STI policy is relatively complex yet requires focus: it must move toward competitiveness and excellence yet it must be integrative, transparent and participative; it must think globally yet act mainly domestically and locally. Society also looks to STI policy and management not only for trade and economic purposes, but also for social objectives such as poverty reduction and social equity. To manage STI policy effectively requires political will, leadership, social awareness, understanding, and in many cases social acceptance. Thailand’s 10-year STI Plan will take these challenges to the level where changes can be implemented and sustainable development, possibly through the sufficiency economy philosophy, can be achieved. Dr. Pichet Durongkaveroj is the Secretary General of the National Science Technology and Innovation Policy Office, Thailand. 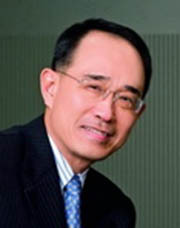 His previous positions include Executive Director, Knowledge Network Institute of Thailand; Director, Policy Innovation Center, King Mongkut's University of Technology Thonburi; Chairman, e-ASEAN Working Group; Director, National Information Technology Committee (NITC) Secretariat; Director, Electronic Commerce Resource Center, NECTEC; and Researcher, Thailand Development Research Institute. Dr. Pichet is a member of the following organizations: Information Technology Projects under the Initiative of H.R.H. Princess Maha Chakri Sirindhorn; the National Science and Technology Development Board; the Internet for Schools and Communities Foundation; the Sub-committee on Planning and Policy, Commission on Higher Education; the Executive Board, Thailand Environment Institute; the Sub-committee on Organization Performance Indicators, Office of the Public Sector Development Commission; and the Thai Delegation, ASEAN Committee on Science and Technology. Dr. Pichet received the Ph.D. in Public Policy and Management from the Wharton School, University of Pennsylvania, USA. He received the M.Eng.Sc. in Applied Solar Energy from Trinity University, USA; and the B.E. in Electrical Engineering from the University of New South Wales, Australia. Non-carbon generation requires a re-think for electric utilities. Variable generation resources such as solar and wind push utility operations beyond normal comfort zones and place greater emphasis on energy storage and smart grid, and consequently on research and development. Bonneville Power Administration, an electric system in the Northwest corner of the United States is a leader in R&D, smart grid, and wind generation integration. Bonneville's breakthrough work to integrate large wind generation into the 500kV grid, advance smart grid and synchrophasors, and to imagine the next generation electric grid will be highlighted. Bonneville operates 24,523 km of high voltage transmission, serves 145 retail utility systems, and markets about 80 GWh each year. The Federal Columbia River Power System, Bonneville's power supply source, has a peak capacity of 13 GW. Terry Oliver has worked globally to advance energy conservation and renewable energy and now, electric utility industry research and development. He has worked for BPA since 1981. •	Established two enduring icons of energy efficiency innovation, the Lighting Design Lab and the Energy Ideas Clearinghouse. •	Created linkages between sustainable energy, jobs, and the local and global environment throughout Asia, South Africa, and the Middle East. In 2000, Terry returned to BPA where he worked on BPA’s EnergyWeb concept and its application to the PNW. As part of this effort he helped create BPA’s Non-Wires Solutions initiative, participated in EPRI’s Intelligrid grid architecture initiative, and lead the GridWise Alliance Demonstrations Working Group. In June 2005 Terry was appointed Bonneville Power Administration’s first Chief Technology Innovation Officer, responsible for re-energizing, focusing, and managing BPA’s research and development activities. The evaluation of a company management system as a complex system is a critical goal of the modern approach to the validation of a complex system. In this context, the introduction of the Resilience Index as the aggregate indicator for the measurement of the quality of the management system is an important evaluation goal for complex systems. The resilience management process is aimed at building an awareness of the resilience issues, selecting the essential organizational components, and identifying and prioritizing the key vulnerabilities. In the organization resilience assessment procedure, it is of primary interest to verify the vulnerability of the company management system and its structure. Among the main attributes of the resilience procedure is the implementation of the following measures: Situation awareness is a measure of an organization’s understanding and perception of its entire operating environment. Management of keystone vulnerabilities defines those aspects of an organization, operational and managerial, that have the potential to have significant negative impacts in a crisis situation. Adaptive capacity is a measure of the culture and dynamics of an organization that allow it to make decisions in a timely and appropriate manner both in day-to-day business and also in crises. The Resilience Index of a company is determined by the sudden changes in four indicators: company profit indicator, company income indicator, product cost indicator and manpower indicator. It is defined as an additive function of the changes in the individual indicators. Four cases are presented to illustrate the Resilience Index concept in this paper. Professor Naim Hamdia Afgan is a member of the Academy of Sciences and Art of Bosnia and Herzegovina, a Fellow of the Islamic Academy of Sciences, and Fellow of the World Academy of Art and Sciences, Washington, USA. He is a visiting professor at the Instituto Superior Tecnico, Lisbon, Portugal. Currently, Prof. Afgan is UNESCO Chair Holder for the UNESCO Chair for Energy Sustainable Management at the Instituto Superior Tecnico, Lisbon. In his academic career Prof. Afgan has been scholar, scientist and engineer. He held the chair for Energy Engineering at the Mechanical Engineering Faculty, University of Zagreb. He has published more than 200 papers. Recently Professor Afgan has devoted special attention to the resilience assessment of the energy system. He was among the first to introduce the energy subject on the sustainable development. His highly estimated prestige in the field of energy has led him to become interested in the engineering aspect of sustainable development. In this respect with his colleagues, Professor Afgan has made a substantial contribution in enlightening different aspects of sustainable development in the energy field. Attention is on the first place devoted to the definition of the criterion, which is to meet the sustainability merits. Based on this criterion, a methodology has been developed for the sustainability assessment of the design of energy equipment design. Prof. Afgan has published the books Sustainability Assessment of Energy Systems (Kluwer Academic Publisher), Quality, Sustainability and Indicators of Energy Systems (Begell House Publisher), and Resilience of Energy System (NOVA Publisher 2010). Professor Afgan was born in Banja Luka (Bosnia and Herzegovina). He obtained the university degree at the University of Zagreb and the degree of Doctor of Technical Sciences at the University of Belgrade.